In the debate of MSAA vs SSAA most people have now accepted multisampling as the victor, at least in relation to the performance impact. Still, there are a few that love supersampling for its higher quality and its ability to reduce aliasing not just on the edges but also internally in the surfaces, whether they occur due to a badly applied texture filter or high frequency components in shader output. 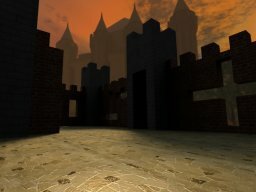 Some have argued that in the era of shaders and the aliasing that some of them bring supersampling will make a comeback. I'll give them half a point for that; however, the future still belongs to multisampling when it comes to driver/hardware side antialiasing. Global supersampling is just too expensive to be an option in most cases. That doesn't mean supersampling will never be applied, in fact, I believe it will be used more frequently in the future, but it will be implemented on the application side, and probably directly in the shader. This is what this demo shows. The advantages of supersampling in the shader is that it gives the developer fine-grained control over where to apply it, to what degree and what sample positions to use, rather than just providing a global switch. In this demo there's one a bit aliasing prone bumpmap on the floor. The aliasing is showing up with the specular lighting, which is a fairly common scenario. So the app supersamples this particular material and nothing more. 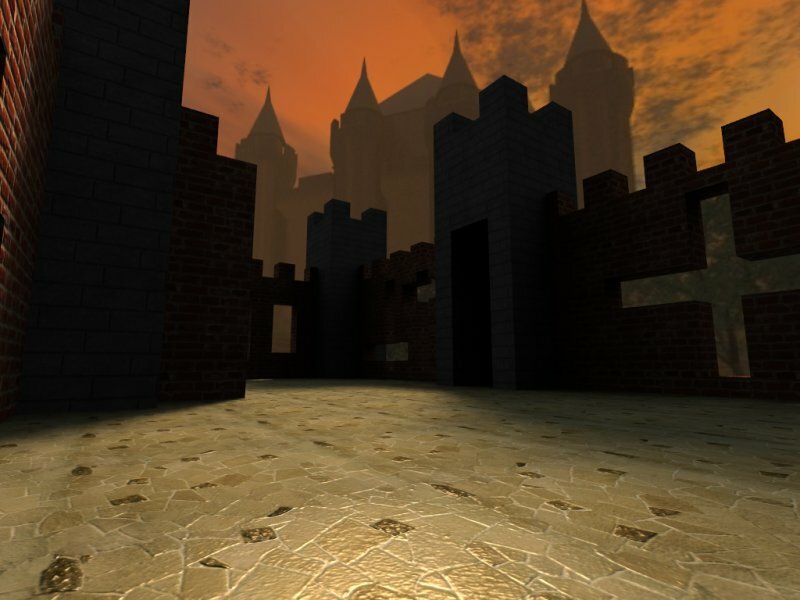 The walls are not supersampled, neither is the skybox and certainly not the GUI. Furthermore, the shader only supersamples the specular lighting. The diffuse lighting does not have a problem with aliasing for this bumpmap, so it's not supersampled, nor is the lightmap, base material and so on. Additionally dynamic branching can be used to shave off even more of the work. This fine-grained selection of course means the performance loss is signficantly less than regular supersampling. A driver side 4 sample implementation would normally be in the range of 1/4 the original speed or even less, plus that it uses a good deal more memory for the framebuffer. This application side supersampling doesn't use any extra memory and is able to keep up with 77% of the original speed on my system. How does it work? It's implemented using gradients. Remember that the gradient returns the difference between neighboring fragments in a fragment quad. The texture coordinate plus the gradient in x would land on the texture coordinate for the neighboring pixel to the right of it if it's one of the left column pixels in the quad. The math doesn't match perfectly in the other direction of course, but the disparency is normally not a concern. Multiplying the gradient with sample positions in the [-0.5, 0.5] range gives you texture coordinates for the samples, which you can then input to any function to compute whatever you want to supersample. For the dynamic branching I compute the gradient of the center sample's specular. If there's a big change in the specular value between the pipes the supersampling will kick in, otherwise it will do with just the center sample. This demo should run on Radeon X1300 and up and GeForce 6 series and up. Use the 1-6 keys to select the amount of supersampling. The view wobbles a bit by default to show the aliasing a bit more clearly. To disable this, press 0. To toggle the use of dynamic branching, use the 9 key.